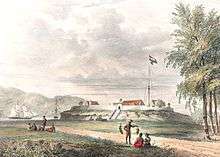 Though originally Melanesian, many island populations, especially in the Banda Islands, were exterminated in the 17th century during the spice wars. A second influx of Austronesian immigrants began in the early twentieth century under the Dutch and continues in the Indonesian era. The Maluku Islands formed a single province from Indonesian independence until 1999, when it was split into two provinces. 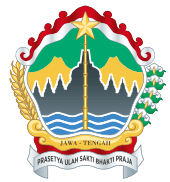 A new province, North Maluku, incorporates the area between Morotai and Sula, with the arc of islands from Buru and Seram to Wetar remaining within the existing Maluku Province. 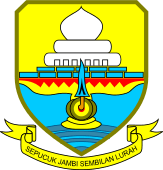 North Maluku is predominantly Muslim, and its capital is Sofifi on Halmahera island. Maluku province has a larger Christian population, and its capital is Ambon. 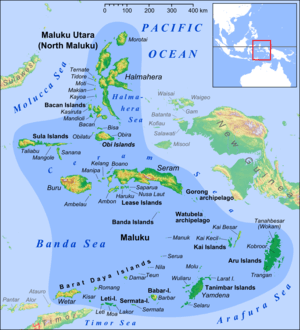 The name Maluku is thought to have been derived from the term used by Arab traders for the region, Jazirat al-Muluk ("the island of the kings"). 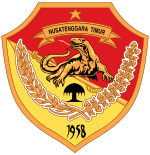 North Maluku province includes Ternate (the former site of the provincial capital), Tidore, Bacan, Halmahera (the largest of the Maluku Islands) Morotai, the Obi Islands, and the Sula Islands. 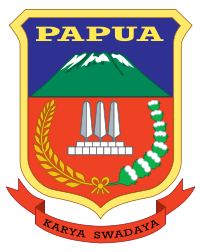 The residual Maluku province includes Ambon (the site of the provincial capital) and the other Lease Islands; the much larger islands of Seram and Buru; the smaller islands lying south and east of Seram—the Banda Islands, Gorong Islands, Watubela Islands, Kai Islands and Aru Islands; and in the far south the Babar Islands, Damar Islands, Romang, Kisar, the Leti Islands, Tanimbar Islands, and Wetar. The earliest archaeological evidence of human occupation of the region is about thirty-two thousand years old, but evidence of even older settlements in Australia may mean that Maluku had earlier visitors. Evidence of increasingly long-distance trading relationships and of more frequent occupation of many islands, begins about ten to fifteen thousand years later. Onyx beads and segments of silver plate used as currency on the Indian subcontinent around 200BC have been unearthed on some of the islands. In addition, local dialects employ derivations of the Malay word then in use for 'silver', in contrast to the term used in wider Melanesian society, which has etymological roots in Chinese, a consequence of the regional trade with China that was developed in the 6th and 7th centuries. Arab merchants began to arrive in the 14th century, bringing Islam. Peaceful conversion to Islam occurred in many islands, especially in the centres of trade, while aboriginal animism persisted in the hinterlands and more isolated islands. Archaeological evidence here relies largely on the occurrence of pigs' teeth, as evidence of pork eating or abstinence therefrom. The most significant lasting effects of the Portuguese presence was the disruption and reorganization of the Southeast Asian trade, and in eastern Indonesia—including Maluku—the introduction of Christianity. The Portuguese had conquered the city state of Malacca in the early 16th century and their influence was most strongly felt in Maluku and other parts of eastern Indonesia. After the Portuguese annexed Malacca in August 1511, one Portuguese diary noted 'it is thirty years since they became Moors'- giving a sense of the competition then taking place between Islamic and European influences in the region. Following Portuguese missionary work, there have been large Christian communities in eastern Indonesia through to contemporary times, which has contributed to a sense of shared interest with Europeans, particularly among the Ambonese. By the 1560s there were 10,000 Catholics in the area, mostly on Ambon, and by the 1590s there were 50,000 to 60,000. The central and southern parts of Maluku are populated majority by Christians, living in harmony with their Muslim brothers and sisters due to the "Pela Gandong" communal relationship system established by their ancestors more than 400 years ago. The "Pela Gandong" community relationship system is between various Christian and Muslim villages throughout the regions. The Dutch arrived in 1599 and competed with the Portuguese in the area for trade. 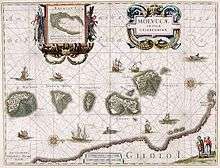 The Dutch East India Company was a mercantile corporation that gradually gained complete control of the islands, leaving smuggling as the only native alternative to the Dutch monopoly. 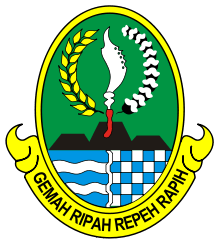 With the declaration of a single republic of Indonesia in 1950 to replace the federal state, a Republic of South Maluku (Republik Maluku Selatan, RMS) was declared and attempted to secede. The RMS was centred around Seram, Ambon, and Buru and led by Chris Soumokil (former Supreme Prosecutor of the Eastern Indonesia state) and supported by the Moluccan members of the Netherlands special troops. This movement was defeated by the Indonesian army and by special agreement with the Netherlands the troops were transferred to the Netherlands. The commencement of Indonesian transmigration of (mainly Javanese) populations to the outer islands (including Maluku) during the 1960s is thought to have aggravated independence and issues of religious / ethnic politics. There has been occasional ethnic and nationalist violence on the islands. Maluku is one of the first provinces of Indonesia, proclaimed in 1945 until 1999, when the Maluku Utara and Halmahera Tengah Regencies were split off as a separate province of North Maluku. 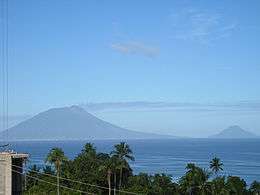 Its capital is Ternate, on a small island to the west of the large island of Halmahera. The capital of the remaining part of Maluku province remains at Ambon. The geology of the Maluku Islands share much similar history, characteristics and processes with the neighbouring Nusa Tenggara region. There is a long history of geological study of these regions since Indonesian colonial times; however, the geological formation and progression is not fully understood, and theories of the island's geological evolution have changed extensively in recent decades. 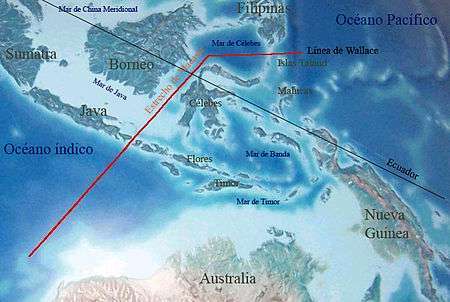 The Maluku Islands comprise some of the most geologically complex and active regions in the world, resulting from its position at the meeting point of four geological plates and two continental blocks. Rainforest covered most of northern and central Maluku, which, on the smaller islands has been replaced by plantations, including the region's endemic cloves and nutmeg. The Tanimbar Islands and other southeastern islands are arid and sparsely vegetated, much like nearby Timor. In 1997 the Manusela National Park, and in 2004 the Aketajawe-Lolobata National Park have been established, for the protection of endangered species. Over 130 languages were once spoken across the islands; however many have now mixed to form local pidgin dialects of Ternatean and Ambonese, the lingua franca of northern and southern Maluku respectively. 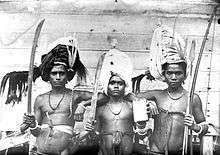 A long history of trade and seafaring has resulted in a high degree of mixed ancestry in Malukans. Austronesian peoples added to the native Melanesian population around 2000 BCE. Melanesian features are strongest in the islands of Kei and Aru and amongst the interior people of Seram and Buru islands. Later added to this Austronesian-Melanesian mix were Indian, Arab, Chinese, Portuguese and Dutch descent. More recent arrivals include Bugis trader settlers from Sulawesi and Javanese transmigrants. ↑ "Introducing Maluku". Lonely Planet. Retrieved 18 April 2015. ↑ IRJA.org Archived 14 April 2009 at the Wayback Machine. 1 2 3 4 Ricklefs, M.C. (1991). A History of Modern Indonesia Since c.1300, 2nd Edition. London: MacMillan. p. 24. ISBN 0-333-57689-6. ↑ E. C. Abendanon and E. Heawood (December 1919). "Missing Links in the Development of the Ancient Portuguese Cartography of the Netherlands East Indian Archipelago". The Geographical Journal. Blackwell Publishing. 54 (6): 347–355. doi:10.2307/1779411. JSTOR 1779411. 1 2 Ricklefs, M. C. (1991). A History of Modern Indonesia Since c.1300, 2nd Edition. London: MacMillan. p. 25. ISBN 0-333-57689-6. ↑ "Troubled history of the Moluccas". BBC News. 26 June 2000. Retrieved 2007-05-17. ↑ Monk, K.A. ; Fretes, Y.; Reksodiharjo-Lilley, G. (1996). The Ecology of Nusa Tenggara and Maluku. Hong Kong: Periplus Editions Ltd. p. 9. ISBN 962-593-076-0. 1 2 3 4 5 6 7 8 9 10 11 12 13 Witton, Patrick (2003). Indonesia. Melbourne: Lonely Planet. p. 818. ISBN 1-74059-154-2. ↑ Monk,, K.A. ; Fretes, Y.; Reksodiharjo-Lilley, G. (1996). 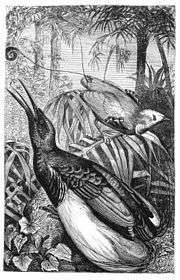 The Ecology of Nusa Tenggara and Maluku. Hong Kong: Periplus Editions Ltd. p. 9. ISBN 962-593-076-0. 1 2 Monk,, K.A. ; Fretes, Y.; Reksodiharjo-Lilley, G. (1996). The Ecology of Nusa Tenggara and Maluku. Hong Kong: Periplus Editions Ltd. p. 1. ISBN 962-593-076-0. ↑ Taylor, Jean Gelman (2003). 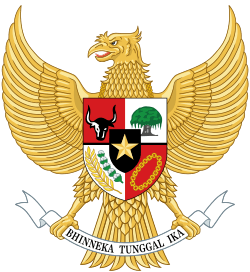 Indonesia: Peoples and Histories. New Haven and London: Yale University Press. pp. 5–7. ISBN 0-300-10518-5. 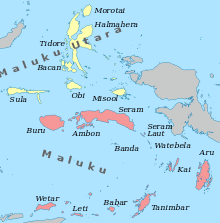 Wikimedia Commons has media related to Maluku. Chisholm, Hugh, ed. (1911). "Moluccas". Encyclopædia Britannica (11th ed.). Cambridge University Press.